I love how this big bow adds drama to even the most understated of outfits. With the help of a sparkly cocktail ring, it takes my simple button-up and skinny trousers to the next level. Please excuse my chipped polish. There's a reason I don't paint my nails very often! I clearly can't handle the maintenance. lol; i rarley get my nails done either. i LOVE your shoes and the shirt with the bow. GREAT outfit! 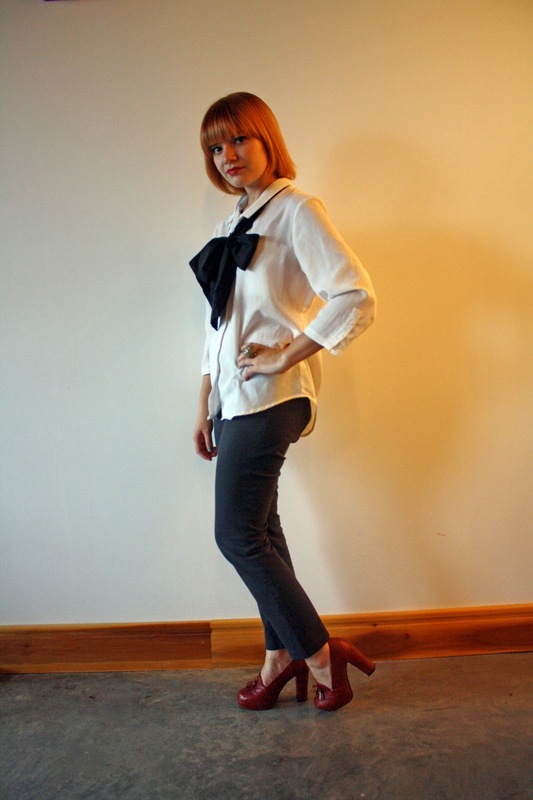 Love the menswear look and how you jazz it up with a giant bow/neck tie! I have the same problem with nail upkeep. That and I can't keep long nails to save my life. 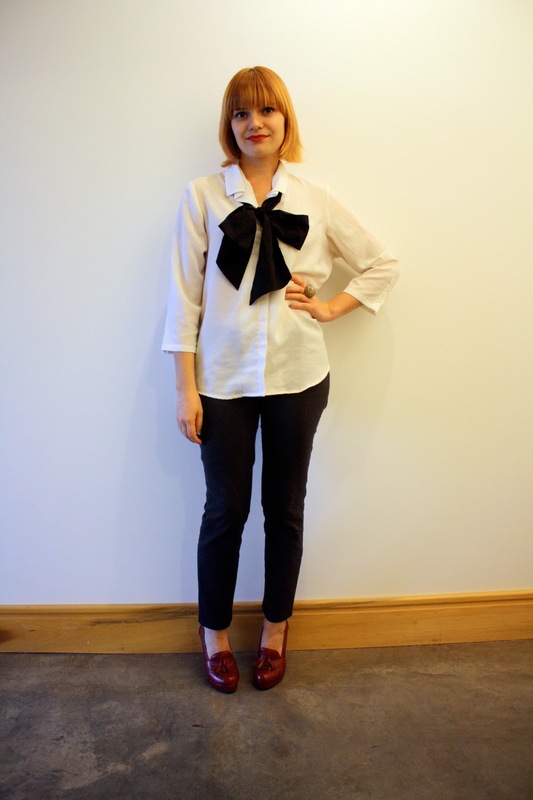 I LOVE the bow on this blouse. 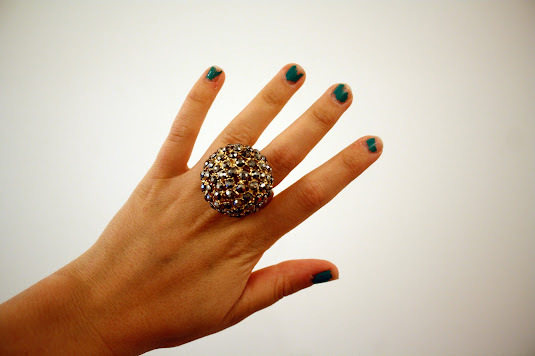 You're right, the bow and the ring give this outfit some pizazz! Enjoy your weekend! 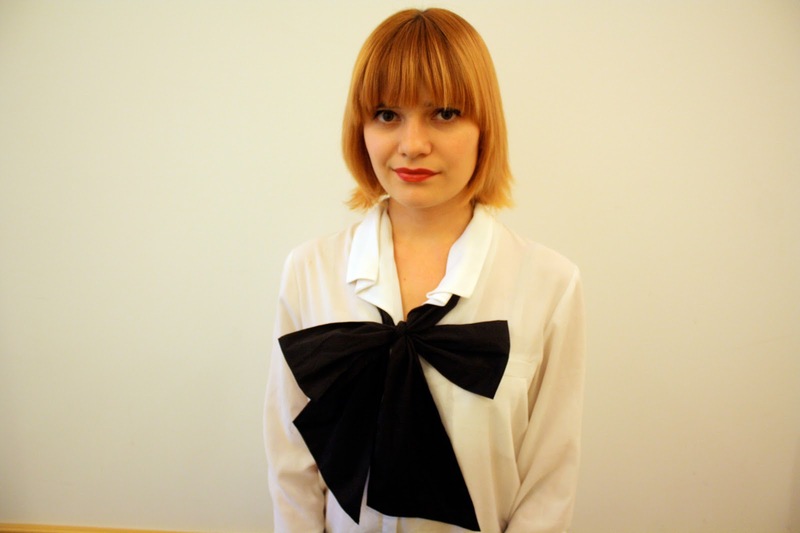 The bow is the perfect statement to your outfit! I really like the pop of red with your shoes as well. i like how the giant bow turns a run-of-the-mill black and white outfit into something fabulous! Yup, love this! You look really elegant. I'm in love with the bow. It's so simple, yet makes such a statement. I can't wait to try this with a collared dress! Totally using this as inspiration for my black on botoom white on top music enemble uniform requirements!! Love!